These animals have gone on to other herds. Bumble Bee is a correct, small in stature doe. Bee is a FF doe who didn't freshen for 2018. 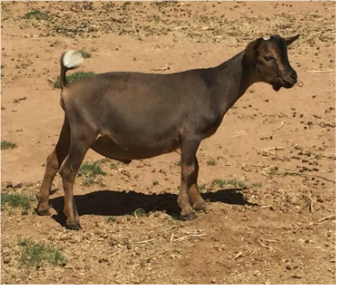 She is currently dry and ready to be bred for 2019. 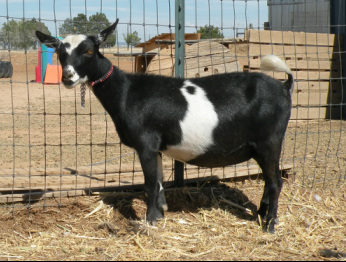 I will offer her exposed (not guaranteed bred) at her listed price. Please contact me for more details. ​I am loving this doe! 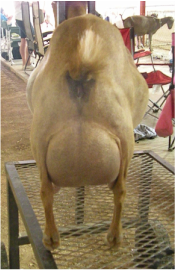 Take a look at that rear udder height and medial and globular shape. Poppy has tremendous length of body, brisket extension, width from muzzle to rump. Poppy is a well put together doe exhibiting a lot of general appearance. 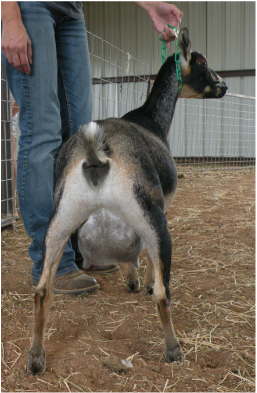 She also has her sire's trademark butter soft udder texture, with plump easy to milk teats. I would like to see more strength in the chine and tighter toes. ​Moonflower is a lovely stylish doe. With the Dark Moon trademark butter soft udder texture. This little doe has a strong will to milk. 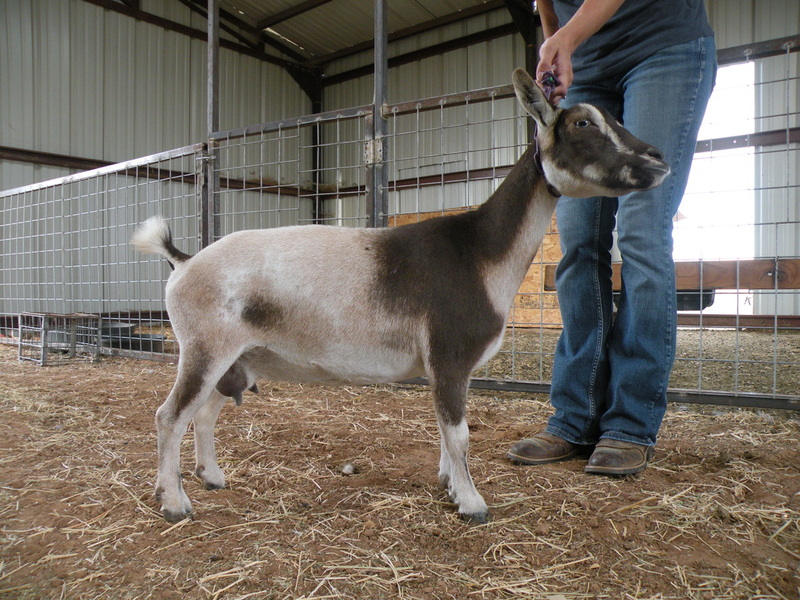 She also has her sire's trademark sweet personality. Moon Flower 2nd fresh udder 2018. 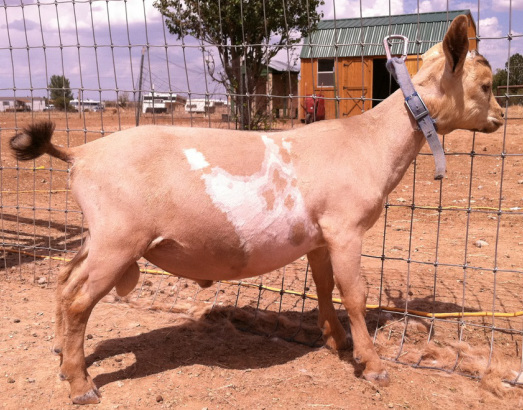 ​Posey has a lovely mammary, which she passes down to her daughters. 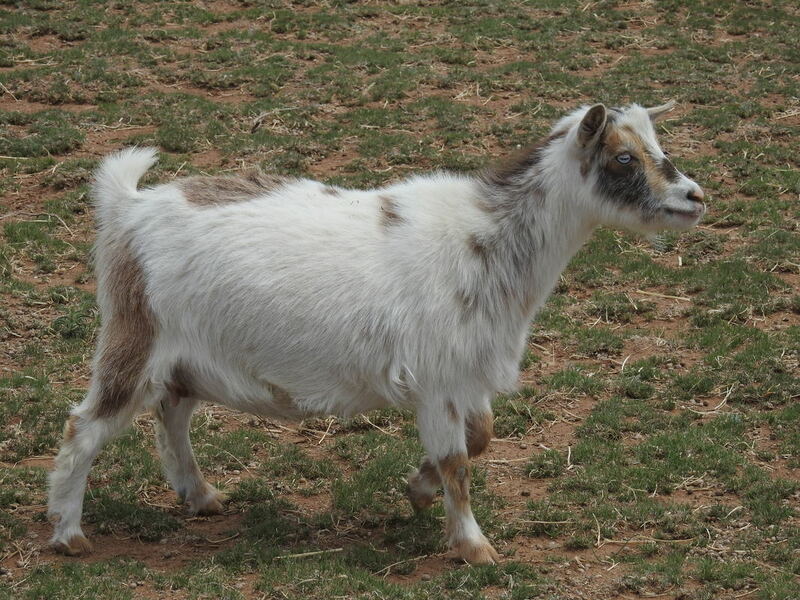 ​My Hershey dam line is slow to mature, but I am very happy with my Hershey granddaughters. MoonPie happens to be the second daughter from Hershey, who is now retired. ​MoonPie is very structurally correct. She exhibits nice general appearance with good length of body, tight shoulders, correct rear leg set. 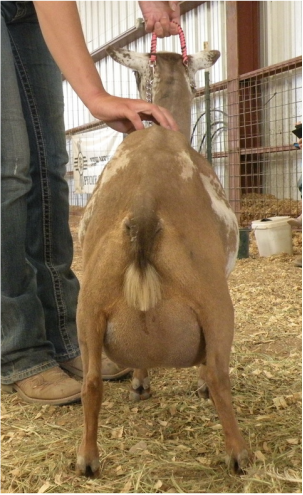 I would like to see a tab bit higher rear udder attachment, she has an excellent MSL. I will be really sad to see this doe go. 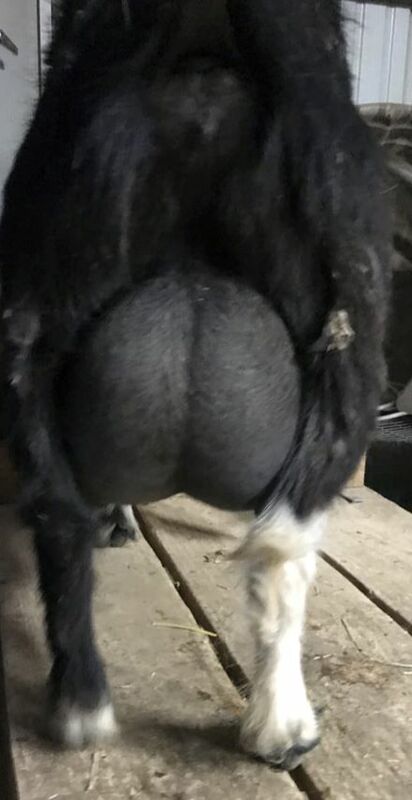 MoonPie's second fresh udder, 12 hours milk. MoonPie is on test for 2018. ​Bon Bon is a lovely doe who we are honored to have in our herd. She is very similar to her dam Chatty, who belongs to CBF Nigerians. Chatty has a very impressive LA score of EEEE 92. 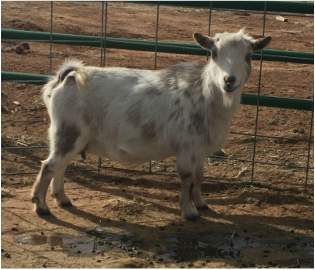 Bon Bon has had a rough go of things, in 2016 she became extremely lopsided in her udder and had to be dried off early, in 2017 she lost her whole litter of quintuplets two weeks early. Bon Bon wanted to be a mother and was mourning the loss of her kids, and adopted another doe kid in our herd, Star. We did choose to appraise Bon Bon in 2017 and her Linear score reflects the loss of her litter. Despite her trials Bon Bon is a lovely milking doe, with good sized plumb teats, she has very good milk stand manners as well. 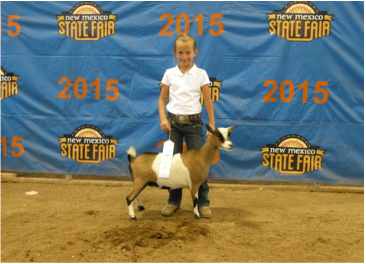 Shown by Julia, 10, at the 2015 NM State Fair. Third in her class. 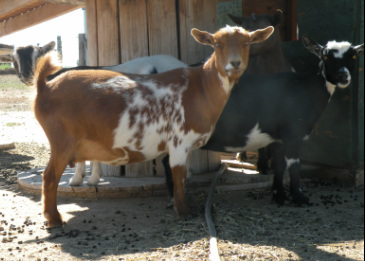 Gem has become one of my favorite does, she is a wonderful little mama, loves her kids. 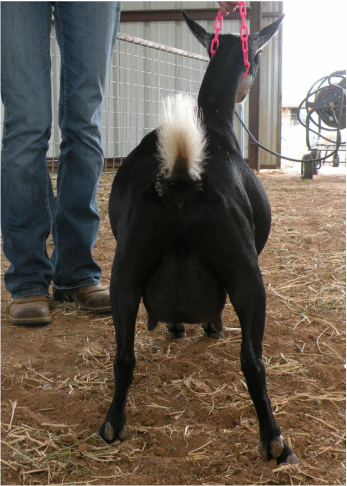 She also loves to be milked and comes happily to the milk stand, never had to be trained to milk, never kicked. Gem earns her keep here being a great milker. She comes from a long line of heavy producers. 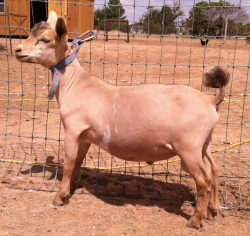 This doe is our first Hershey daughter, she has really bloomed as a second freshener. 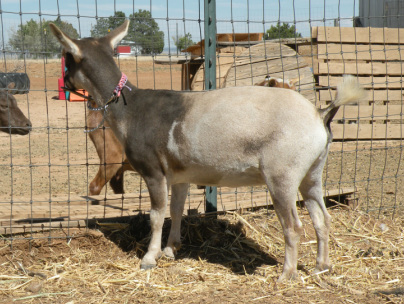 Peppermint really caught the eye of our appraiser in 2015, he thought she was a correct lovely doe. Clementine is a small doe and freshened in 2013 with FIVE babies. 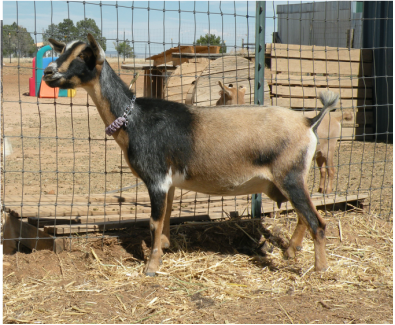 Clementine has the sweetest personality, loves scratches, she is such a pet. Clementine will be retired in 2017. 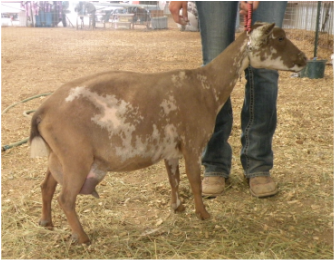 Shown by Natalie, 4, at the 2015 NM State Fair. 1st in her class. 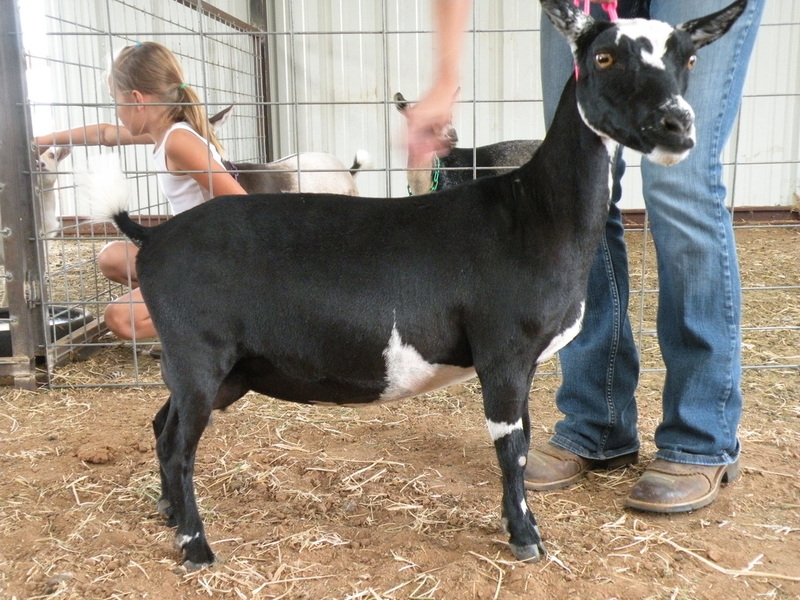 Chiclet is a very sweet doe, she has done well in the show ring as well as the milk pail. I really enjoy milking Chiclet with her exceptional milk stand manners, Chiclet does need improvement in teat size. Penny is a lovely doe! Penny's udder is fantastic. Butter soft texture and huge teats with wide open orifices, milk just flows with little effort. Penny milked for 14 months in 2014, just what I would like to see in all my does. 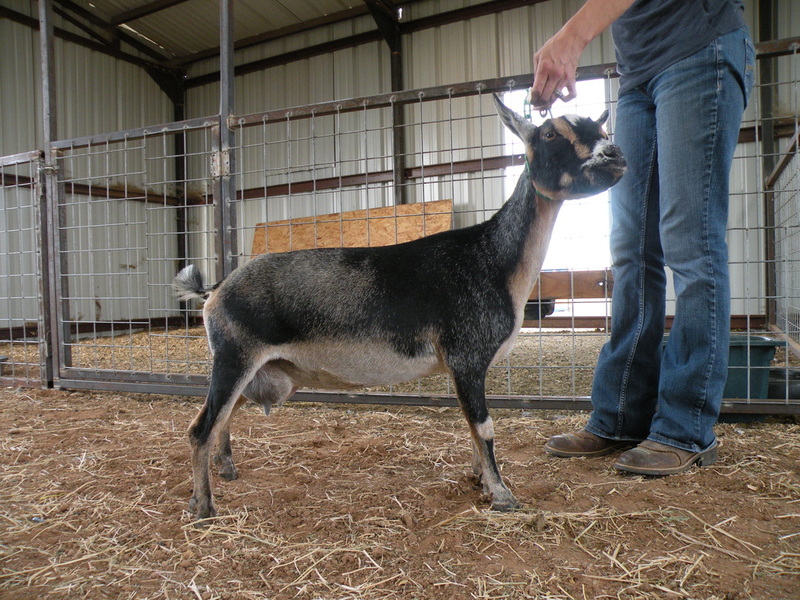 Penny's 2015 daughter is retained and will freshen in 2017, hoping for her to be a replica of her dam. Buckskin, extensive white overlay, silver roaning. 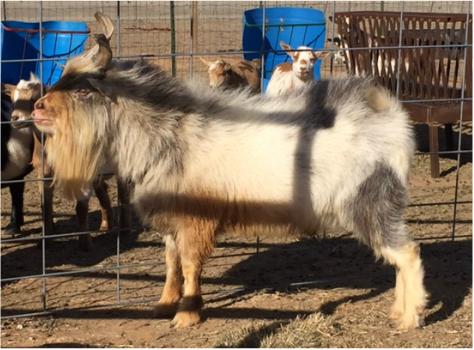 Roca has moved on to a new herd in AZ. He was a great contribution to our herd in 2011, we retained three of his daughters. 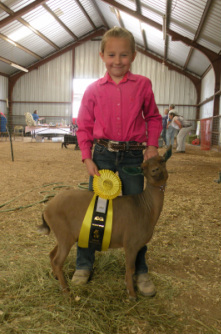 Roca was shown in July of 2011, where he took Reserve Junior Champion buck. 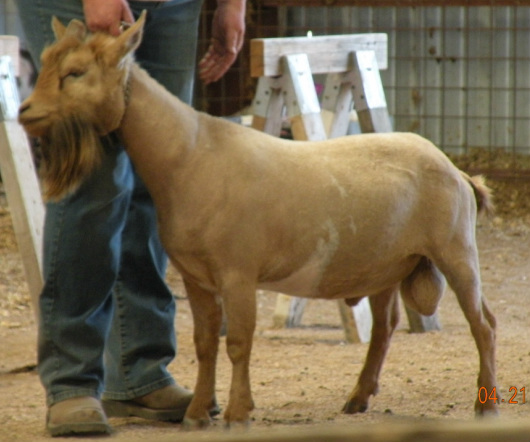 His second show, as a yealing buck in 2012, Roca took a First place and a Reserve Champion! Pictured as a Junior buck.